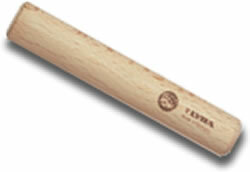 The Lyra Ferby have long been accepted as one of the best pencils around for all artists and especially children, left handers and people who have problems with gripping. They are high in pigment with a lovely, thick 6.3mm diameter lead to make beautiful, rich marks on the paper. Only 12cm long so fit nicely in little hands!